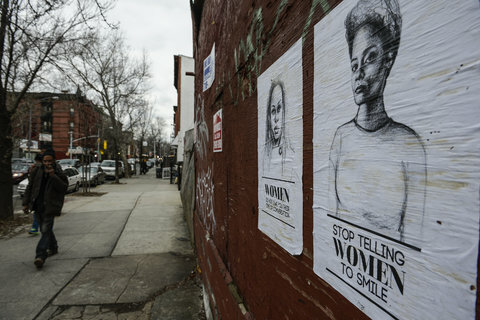 Posters on a wall on Tompkins Avenue in Bedford-Stuyvesant, Brooklyn, try to make the point that some comments to women aren’t welcome. “These things make you feel like your body isn’t yours,” the artist says. Shorty. Sweetie. Sweetheart. Baby. Boo. If you’re a woman, you’ve probably heard it. If you were to respond, what would you say? Continue reading the full article at the NYTimes Here!